Hey I'm strawberry! 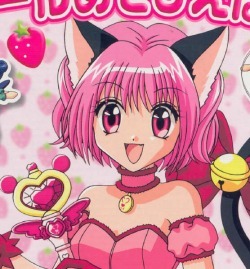 I love Tokyo mew mew and my favourite is Mint. I am 13 years old and I live in the United Kingdom ( England ). I do Ballet dancing and modern dancing. My favourite food is strawberrys ( I love them! ). I have been studying art for two years and my favourite thing to do at home is go through my outfits. hi i am new!!! amd my favourite mew mew is kikki cause we have everything in common!! !